Nvidia is back with another set of "Game Ready" drivers prepped and primed for today's Titanfall 2 release. 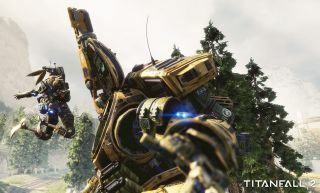 The newest release, version 375.70, is the third set intended in part for the Titanfall sequel, as the initial release was yanked due to a bug. That was version 375.57, a WHQL release that brought along a few annoying bugs. Some users who installed the driver complained that it was causing some Windows Store apps to crash, messed with their ability to drag and drop Start menu tiles, and other quirks. Nvidia pulled the driver the following weekend and replaced it with 375.63. Now here we are on the day of Titanfall 2's launch and Nvidia has a new driver package. In addition to being optimized for Titanfall 2, it also includes optimizations for Call of Duty: Infinite Warfare, Call of Duty: Modern Warfare Remastered, The Elder Scrolls V: Skyrim Special Edition, Obduction, and Dishonored 2. Though Nvidia squashed the previous bugs users were complaining about, there are still some known issues. A dozen of them pertain to Windows 10, while eight others are spread across Windows 7 through Windows 8.1. You can see a full list in the release notes (PDF). You can download Nvidia's new driver package here. Also be sure to check out our analysis of performance and settings in Titanfall 2 along with our full review.